The America East Field Hockey Championship bracket has surfaced, and the seeds are set. Cal’s field hockey team (9-7) has earned the West’s No. 2 seed and will face the East’s No. 3 seed New Hampshire (7-11) in the quarterfinals Nov. 3 in Lowell, Massachusetts. After a turbulent season for the Bears, we’ll see how they perform once they land in the East Coast for an all-or-nothing matchup. The Bears recently clinched a share of the America East division championship for the first time since a conference realignment which sent them from the NorPac conference to the AEC in 2015. Cal shared the West division regular season title with nationally ranked No. 17 Stanford and No. 24 Pacific, but after considering the goal differential of the teams in the West division, Stanford was given the No. 1 seed, followed by No. 2 Cal, No. 3 Pacific and No. 4 Davis. The East division will feature Albany, Maine, New Hampshire and UMass Lowell as the top four seeds, respectively. The Bears have faced all four teams in previous seasons at least once and have recorded wins (Albany in 2008, Maine in 2016, New Hampshire in 2006 and UMass Lowell in 2015). 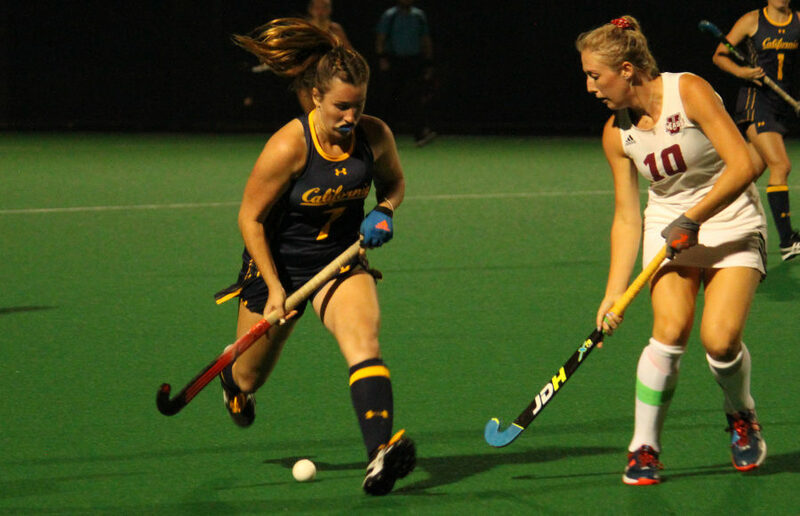 The last matchup between the Bears and the Wildcats resulted in a 6-1 Cal victory. But it’s rather trivial to assume anything because of a matchup that occurred a little morethan 10 years ago. When the Bears were still in the NorPac division, they won the NorPac tournament in 2011. Since then, the Bears have not earned a postseason championship title. The Wildcats have been battle-tested this season. They’ve faced strong teams including No. 11 Louisville, No. 14 Boston College, No. 15 Harvard, No. 17 Stanford, No. 19 Iowa and No. 23 Albany. Despite not notching a win in those matchups, the fact that UNH has experienced playing against tough opponents is important for Cal to take note of. On paper, both teams seem to have a similar style of play. What stands out the most from both teams is their goals per game and goals allowed per game. UNH scores on average 1.94 goals per game but has allowed 2.94 goals per game. This is where Cal may have the edge over the Wildcats, as the team has managed to score 2.56 goals per game, but it has also allowed opponents to score an average of 2.13 goals per game. The key for the Bears would be to get freshman Megan Rodgers in a position to score and to get sophomore Danielle Mentink prepared to slow down UNH’s offensive front. The last time Cal clinched their conference championship in 2011, they also made an appearance in the NCAA championships — but lost in the first round. Gaining momentum in a conference tournament can surely give the Bears a shot at a good run for the NCAA championships. After all, playoffs are always full of unanticipated outcomes.